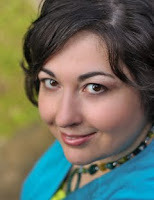 Today I have the lovely author Stephanie Dray here with me to answer some questions. 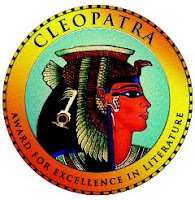 I absolutely loved her debut novel, Lily of the Nile, which I reviewed last week. 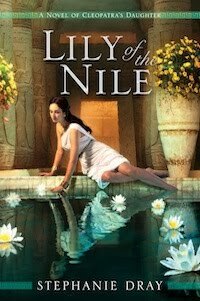 Check out my review of Lily of the Nile. How did the idea for Lily of the Nile come to you? What drew you to that time of period in history? What kind of research did you do for Lily of the Nile? I spent some time in the library, I read every book I could get my hands on, and I consulted with authorities in the field. I’ve reconstructed Roman feasts; I’ve even tried on a stola and palla to get an idea of what it was like to wear the clothes of the era. The only thing I didn’t do was travel to modern day Algeria and Morocco which is where Selene’s kingdom of Mauretania was located. What are some of your hobbies besides writing? I’m a cat enthusiast. I own three…or am owned by them, I’m sure they would say. I spend time teaching my cat Butterscotch to do tricks, including shaking paws and giving a high-five. I used to enjoy online role-playing games, but I’ll admit that my writing doesn’t leave much time for hobbies these days. How does it feel to have your debut novel finally published and in the hands of readers? I love to interact with readers; I’m on Facebook but I also tweet! One last question. What stories can we look forward to from you in the future? By the end of the year, the sequel, SONG OF THE NILE will hit bookshelves. It will trace the life of Selene as she carves out a new kingdom for herself in North Africa and tries to honor her mother’s legacy. Thank you so much for having me here. It’s been an honor! Huge thanks to Stephanie for answering my questions. Make sure to check out all the links so you can connect with Stephanie and maybe win some great prizes! Great interview! I had the pleasure of hosting Stephanie on my blog as well (review should be up this week). What an amazing debut novel; it was so captivating and completely left me wanting more. Definitely looking forward to the next book on Selene! Love the sounds of this book, been hearing good things about it all over! Will put it on my list to watch out for at the bookstore. This one sounds like it has a really strong female protagonist and an intriguing setting unusual for YA…I will have to check this one out!